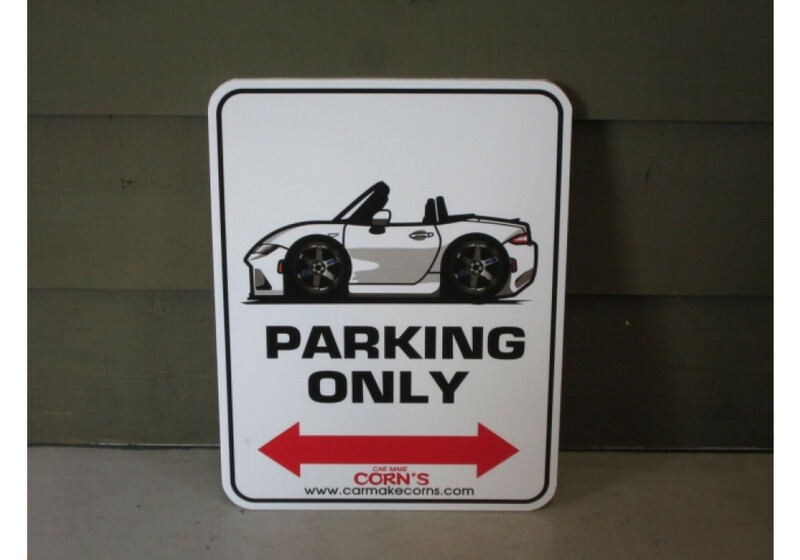 Cute and neat Car Make Corn's "ND MX-5 Only Parking" signs to put on your garage wall. 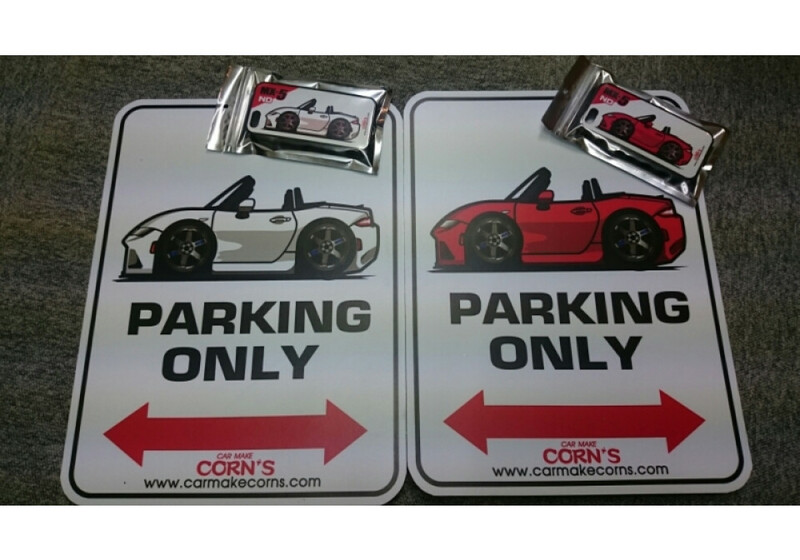 They are made of styofoam (foamed polystyrene), so it's super lightweight and does not require to drill into walls, tape is fine. 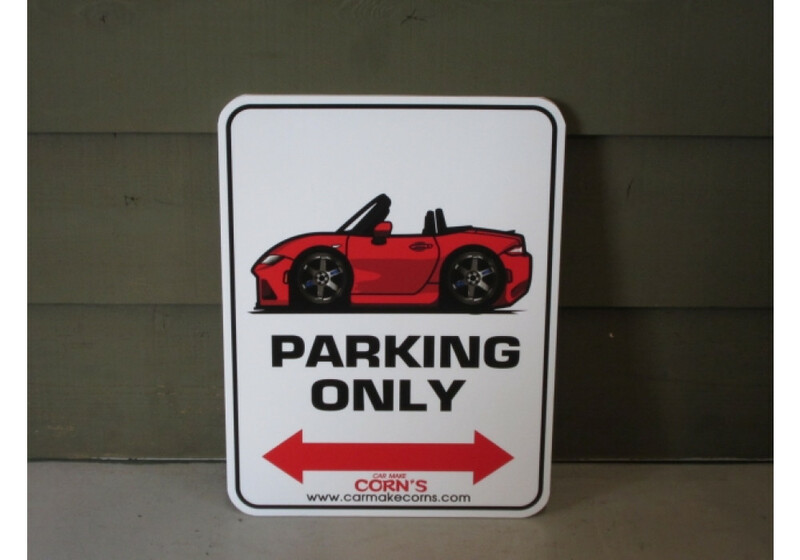 Size is 33cm x 25cm. 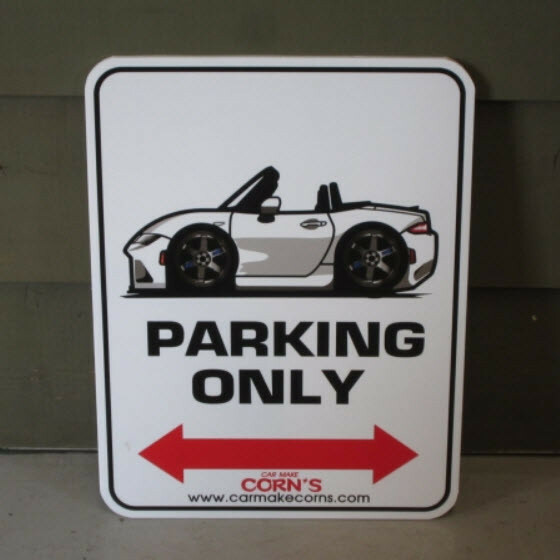 PLEASE NOTE THAT THE WHEELS ON THE CAR ARE NOW THEIR ORIGINAL ALL BLACK WHEELS Car Make Corn's MX-5 Parking Only Sign should be ordered at REV9 Autosport https://rev9autosport.com/car-make-corn-s-mx-5-parking-only-sign.html as they provide the best service and speed we've seen so far!